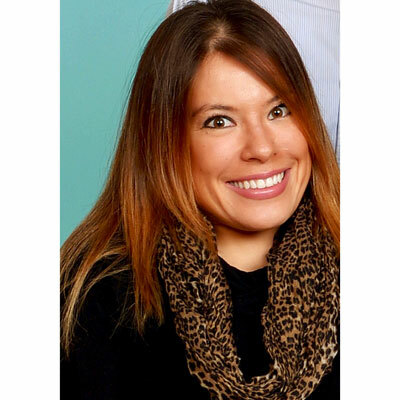 Head of Global Partner Marketing, 8x8, Inc.
8x8's Head of Global Partner Marketing, MeiLee Langley, has been an integral part of 8x8's channel recruitment and marketing strategy since joining the company in 2016. Langley has led the efforts to re-structure and re-brand 8x8's Partner Program (recently rated 5 stars by CRN), and build 8x8's reputation within the channel community. Langley, alongside the other 8x8 channel leaders, has contributed to 8x8's consistent YOY growth in channel revenues, recruitment, and accolades. Langley's previous industry experience includes RingCentral, and a telecom consulting firm, and she holds a Corporate Communication and Business degree from the University of Texas in Austin. When taking the helm of 8x8's Partner Marketing team, I had two main priorities: re-structure and re-brand our partner program tools and resources to create the 5 star experience our partners expect, and work cross-functionally with internal teams to automate processes that would enable our program to grow and scale our partner recruitment and enablement efforts. We are excited to launch our new Partner Program, which will divide 8x8 Channel Partners into 3 performance and goal based tiers, each with their own level of access to marketing and sales tools, demand generation campaigns, MDF, training, and sales enablement and support. Additionally, realizing that our program wouldn't be successful without scalable systems to support it, I worked cross-functionally within 8x8 to build out an automated recruitment and marketing attribution engine. Beyond the expected goals of increasing channel revenues, I want to focus 2018 on growing our base of enabled partners - those dedicated to building a scalable and profitable 8x8 practice, and then arming them with effective tools and programs. Recognizing that not all partners have the same knowledge and resources, my goal for 2018 is to tailor the tiered framework of our new Partner Integr8tion model to support the differing needs of our top 3 types of partners: Cloud/UC Sub-Agents, Value Added Resellers (VARs), and Service Providers (MSPs) with their own easy to manage tools, resources, and marketing programs. My first job out of a college was an entry level tech sales position. My sales manager was a woman that despite being young in her career (she was 26 at the time, and had only been at the company for 3 years) had already been promoted to management. She taught me how to sell with integrity and position myself for growth and success in my career. She also showed me that it was possible to balance a dedication to growing a career while still nurturing and supporting a family. Two piece of advice: 1) Discover what you're passionate about (it'll take a few wrong turns to find the right path), and then find a career that allows you to exercise that passion in the work you do. When you're passionate about your work, your work becomes your passion and something you will wear as a badge of honor. Your job takes up at least 8 hours of your day, you'll find yourself far more energized when those hours are devoted to doing something you enjoy. 2) Never stop learning. You can always improve. While this is something I am working on, I would love to master the skill of technical writing - being able to explain a complicated piece of technology in a way that is digestible and resonates with individuals of varying levels of expertise. We are surrounded by a whirlwind of industry jargon and acronyms, and as marketers, the ability to help make that language approachable is a huge asset in our space. Luckily, I work with a team of very talented writers, technical writing is a skill I hope to master in the near future. "Lean In: Women, Work, and the Will to Lead" by Sheryl Sandberg. "Lean In" was one of the first books recommended to me as a female in a male dominated industry. It outlines how women should take charge of their own careers (to overcome the unspoken challenges that we face) in order to create our own paths for advancement and success. In times when I was unsure of my next steps, I have often gone back to some of the practical advice Sandberg offers on how to maximize opportunities for achieving leadership roles and making a difference within our organizations.